Introducing the finalists and semi-finalists to the Butler Opera International Competition. Courtney Elvira is a lyric mezzo-soprano with her hometown roots in St. Petersburg, FL. This summer, She completed her second season with Des Moines Metro Opera, participating in the Apprentice Artist program. She was delighted to cover Prince Orlofsky in the riotous, Die Fledermaus. Earlier this year, Courtney sang the role of Third Spirit and covered Third Lady in The Magic Flute with St. Petersburg Opera. This season, Courtney will be performing all over the country, making appearances with Kentucky Opera, Dayton Opera and Philharmonic, Brava! Opera Theater and Opera Ithaca. This September, she will perform Second Lady in Kentucky Opera's production of Die Zauberflöte. Soon after, she'll head to Dayton, Ohio, to sing Lilith in Dayton Ballet's Dracula: Bloodlines, along with appearing as Giovanna in Dayton Opera's Rigoletto. In December, Courtney will be joining the Dayton Philharmonic as the mezzo-soloist in their annual performance of Handel's Messiah. She returns to Dayton Opera next spring, as the mezzo-soprano Artist-in-Residence. There, she'll be singing Kate in The Pirates of Penzance. Soon after, Courtney will be heading to the west coast, where she will be singing her first Hansel, in Hansel and Gretel, for Brava! Opera Theater.Finally, She’ll be joining Opera Ithaca, in April, for a double-bill performance of La liberazione di Ruggiero and a commissioned work by Kamala Sankaram, The Enchantress. Visit her website at www.courtneyelvira.com. Lauded by Opera News as “Mellifluous Tenor”, John ChongYoon Noh is currently pursuing his Master of Musical Arts degree at Yale University with a full scholarship award under the guidance of Richard Cross and Doris Yarick-Cross. A native of South Korea, baritone Daewon Seo recently received his Artistic Diploma from Oberlin Conservatory. This year, he will be making a debut with the Cleveland Opera Theater in the role of Barone Douphol from La Traviata and also with Opera Camerata New Jersey in the role of Siméon From L’enfant prodigue by Debussy. During his 2018-2019 season, he performed the role of Harlekin in Ariadne auf Naxos by Strauss with Miami Music Festival. He has won of William C. Bard Competition and Lois Alba Aria competition. He has also won the S.Livingston Mather Competition for three years. He appeared Sherril Milnes’s Masterclass at the Cleveland Museum of Art. During his years at Oberlin Conservatory, he performed the role of Il Conte from Le nozze di Figaro. He was also the baritone soloist for Orff’s Carmina Burana. He has worked with renown artists such as Marilyn Horne and Gerald Finley in masterclasses. Bass Seunghee Lee is from Seoul, South Korea, In 2014, he played as Colline in La boheme by G. Puccini, with the University of Texas at Austin. Since then, he continuously built his opera career with various roles as Figaro in Le nozze di Figaro by W.A> Mozart, Simone in Gianni Schicchi by G. Puccini, Officier/Jailer in Dialogues des Carmélites by F. Poulenc in 2015, Gideon March in Little Women by M. Adamo in 2016 and Speaker in Die Zauberflöte by W.A. Mozart in 2017. In two opera festivals, he consecutively performed as Bartolo in Le nozze di Fiagro with the Miami Music Festival in 2017, and Canto Vocal Program with full scholarship in 2018. Coming soon in 2019, he is scheduled to play as Bonz cover and Imperial Commissioner in Madama Butterfly with St. Petersburgh Opera Company, Antonio in Le nozze di Fiagro, as well as Officer and Basilio cover in Il barbiere di Siviglia in Chautauqua Young Artist, NY. Additionally, he won the Schubert Lied Competition and Korean Art Song Competition. Mr. Lee is the finalists from Soma International Foudnation Inc. Lois Alba Aria Competition 2017, San Francisco Opera Center, Merola Opera Program in Dallas region 2017, New Jersey Association of Verismo Opera International Vocal Competition NY 2018 and Haugh Light Opera Vocal Competition in 2019. Mr. Lee received his Bachelor of Music in Vocal Performance from Yon-Sei University, his Master of Music in Opera Performance and doctorate degree, D.M.A from the University of Texas at Austin. Soprano Abigail Rethwisch stepped in on less than two hours’ notice in March 2017 to sing the title role of Lucia di Lammermoor for the entire run of Utah Opera’s production thrilling audiences with “her command of bel canto technique and riveting dramatic talent” (Opera News). During the 2018-2019 season, Ms. Rethwisch makes her company and role debut with Intermountain Opera Bozeman as Mabel in Pirates of Penzance. She will also join Opera Southwest as a guest soloist in their New Year's Eve Gala and return to Utah Opera to sing First Lady in Die Zauberflöte. In the 2017-18 season she sang Adele in Die Fledermaus, and Nella in Gianni Schicchi with Utah Opera and joined the Utah Symphony as a soloist on their Great American Road Trip. Past Utah Opera appearances include Carmen, The Long Walk, Man of La Mancha, and Messiah. In the 2017-2018 season Ms. Rethwisch also sang Der Königin der Nacht with CoOperative in Princeton, NJ and joined the Columbus Symphony for the Brahms Requiem and Saariaho’s Leino Songs. Visit her website at www.abigailrethwisch.com . Cuban-American Mezzo-Soprano Zaray Rodriguez is a Metropolitan Opera National Council District Winner and Regional Finalist. She has been praised for her mature artistry (Classical South Florida Review) and for her entrancing vocal production (Boston Music Intelligencer). Recently, Ms.Rodriguez was seen performing the role of Dinah in Bernstein’s iconic opera, Trouble in Tahiti. Other operatic performances include Cherubino in Le nozze di Figaro, Aunt Hannah Watkins in Emmeline, Florence Pike in Albert Herring, Federico Garcia Lorca in Ainadamar, Mezzo in Hydrogen Jukebox, L’enfant in L’enfant et les Sortilèges, and the title role of Carmen. This Fall, Ms. Rodriguez joins the 2018-2019 Florida Grand Opera Studio Artist program, where she will be performing the roles of Marcelina in Le Nozze di Figaro, covering the title role of Frida, and performing the roles of Lupe Marin and Dima’s Mother in Frida. Ms. Rodriguez’s concert work includes performances of Mahler’s Lieder eines fahrenden Gesellen, Sibelius’ Belshazzar’s Feast, Ravel’s Shéhérazade, and Handel’s Messiah with regional companies in the East Coast. Her recorded performances are with Albany Records’ The Death of Webern where she can be heard performing the role of Clerk, and Seraphic Fire’s Grammy Nominated recording of Brahms’ Ein Deutches Requiem with the Professional Choral Institute. Visit her website at zarayrodriguez.com . Haoxiong Bian is a Chinese Tenor, A 2017 recipient of a China Scholarship Council Foundation award and government-sponsored. This Past Spring of 2019 Mr.Bian was Nadir in Les Pêcheurs de Perles with Manhattan School of Music . Some Scene works includes La Bohème (Rodolfo) in 2014, and The Pearl Fishers (Nadir) in 2016 with University of Century Arkansas. In addition to recitals, his solo work includes work with The Symphonic Choral Concert Commemorating the 70th Anniversary of the Victory of WWII in Shanghai Oriental Art Center, 2015. He won Singapore International Vocal Competition, China National College Vocal Competition. Mr.Bian graduated from Manhattan School of Music under the tutelage of Ms.Shirley close, He is DMA student of Voice Department in the University of Texas at Austin. The American baritone, Robert Mellon, a native of Ronkonkoma, New York, is known for having a "dark baritone, full and fresh and quick with dramatic fire." A 2016 recipient of a Sullivan Foundation award and career grant, Mr Mellon will be singing the Nazi in the world premiere of Dear Erich with New York City Opera; Papageno in The Magic Flute with Opera Maine in the summer of 2019; and in January of 2019 he will sing Leporello in Don Giovanni with Syracuse opera. This past fall Mr. Mellon was Bernardo in West Side Story with Shreveport Opera. During the summer of 2018 he performed Figaro in Le nozze di Figaro with Opera Maine. In late 2017 Mr. Mellon performed Don Pizarro in Fidelio as a guest artist with Rutgers University and he made his NYFOS debut performing with Steve Blier in recital in New York. During the 2016-2017 season, Mr Mellon performed with the National Sawdust Festival as Hector in the U.S. premiere of The House Taken Over, with Shreveport Opera as Don Alfonso in Così fan tutte, and with Opera Theatre of Saint Louis as the Priest, Willem, Usher and Court Clerk in the U.S. premiere of Philip Glass’s The Trial. During the 2015-2016 season, Mr Mellon made his principal artist debut with PORTopera as Le Dancaïre in Carmen and was a Gerdine Young Artist with Opera Theatre of Saint Louis.. Earlier that season he was a resident artist with Peoria Symphony in their concert production of Così fan tutte as Don Alfonso. 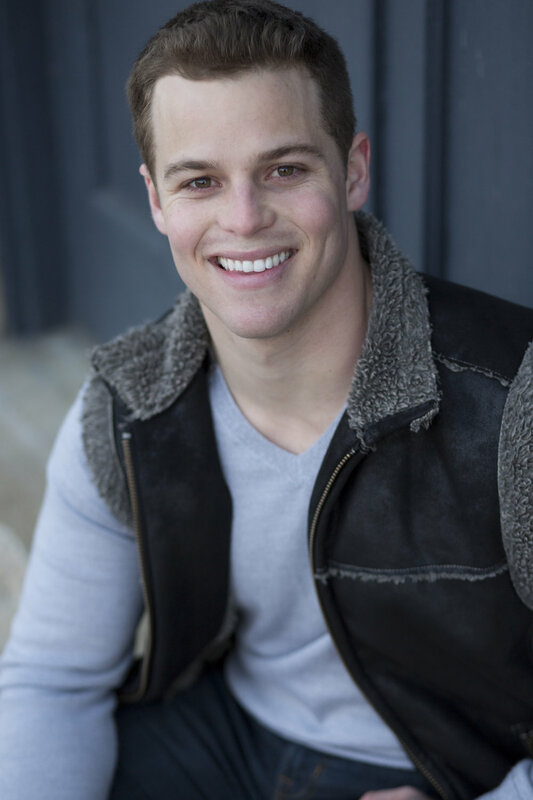 Peter Barber, an American bass and first-year master’s student at the University of Southern California, has often been compared to a “young Samuel Ramey” in terms of his vocal range and stylistic versatility as a singer. Some of his performance highlights include: Figaro in Le Nozze di Figaro, Don Alfonso in Così fan tutte, the Mikado in The Mikado, and Doctor Bartolo in The Barber of Seville. Peter was also an essential performer in Opera Lucca last summer, playing roles in a scenes program that include, but are not limited to: Sparafucile in Rigoletto, Leporello in Don Giovanni, Dulcamara in L’Elisir d’amore, and Alidoro in La Cenerentola. In the Fall semester of 2018, Peter performed La Fauteuil and L’Arbre in Ravel’s L’Enfant et les Sortilèges, and Le Chambellan in Stravinski’s Le Rossignol with the USC Thornton Opera program. For the summer season of 2019, Peter will be attending the prestigious Music Academy of the West, where he was accepted as one of 21 vocal fellows from a record-high audition pool of nearly 700 people. In addition, Peter will be playing the principal bass role of Stobrod/Blind Man in the academy’s production of Cold Mountain by Jennifer Higdon. Peter is currently in the voice studio of Rod Gilfry, and hopes to pursue a career in operatic performance after graduating from USC in 2020.